Every pet owner will have to deal with anxiety in dogs at some point. 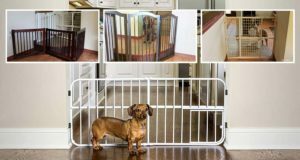 And as more pet parents need to leave their pets alone at home as they go to work, there's no easy way to avoid having our dogs go through separation anxiety. This is when knowing signs of actual anxiety versus general bad behavior in dogs is very important. There are several behavioral aspects that dog owners must be aware of, most importantly about the causes of anxiety in their canines, so as to prevent it. Is it the environmental factors, or is the issue much more serious, stemming from a particular health condition? In this solo podcast, I'm relaying all the important information I've gathered from a professional pet trainer Jessa Paschke from Mars Petcare who told me about all the signs and symptoms of anxiety in dogs, and how to prevent and deal with them. One of the biggest issues that pet parents face is pets with anxiety. This is becoming more and more common as we move into this kind of era of pet owners being away from home more often than they ever used to. It used to be that sometimes one person in the family could work while one person stayed home. That kind of stuff doesn't happen anymore. We are seeing companies accepting this fact and trying to help pet owners. We're seeing offices allowing pets to be brought to work. We're seeing people being able to work from home remotely more often. But for the most part nowadays, a lot of pets are left alone for long periods of time every day and that in itself creates anxiety. Being alone is something that causes anxiety for pets, especially dogs who are used to… In history they have come from packs. Dogs, wild dogs, lived in packs and our dogs naturally are used to that lifestyle of pack living. So they are social creatures by nature, and when they're left alone for long periods of time we see bad behaviors which are actually linked to anxiety. And some pet owners see chewing, urinating in the house, different issues like that, trying to escape from a home. We have friends who have a dog who will chew through drywall, claw at doors, trying to get out. So there are these behaviors we see as bad behaviors, but they're actually in response to anxiety. And this is something that I really wanted to talk about, because we're seeing it quite often now with dogs, even in some cats. Pet owners are seeing issues with anxiety. So today I was able to speak with Jessa Paschke. She's a pet trainer at Mars Petcare. Mars is one of the leading pet product. They have companies under their umbrella that range from everything from pet foods to pet products. 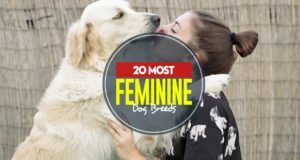 And they're certainly one of the leaders in the world as far as manufacturing different types of pet products. Unfortunately I wasn't actually able to speak with Jessa in person, but she did answer a bunch of interview questions for me through email. So I wanted to run through those answers and tell you guys some of the great tips and advice that she shared with me. So, of course, the first thing I wanted to know are the symptoms of anxiety in dogs we're seeing so much now, and as I mentioned, a lot of pet owners see these symptoms and they're thinking that their dog's misbehaving, and it's actually just a symptom of anxiety. So Jessa explained to me, that just like people are different in how they show anxiety, some people will chew fingernails, fidget around, other people have more extreme symptoms, there's also a difference in how individual pets show their anxiety, as well. So some symptoms are subtle and can be easily missed by owners, but you need to be really observant. Monitor your pet's behavior. Keep in mind what is the norm for them. If they're kind of a busy, fidgety, pet to begin with, maybe that's not out of the norm for them. But all of a sudden, the busy and the fidgeting becomes they're chewing and scratching at themselves. So you're noticing maybe not a change in the amount of behavior, but how the behavior is being expressed. So little, subtle changes, even sometimes, can be an indicator for us that something's wrong with our companion animals. So that's something that you need to take into consideration. And some of the main symptoms that Jessa mentioned that you should be looking for are changes in activity, either an increase or decrease in how much activity they're doing, excessive panting, trembling, tucking of the tail is a good sign, showing the whites of their eyes. If they're hiding or exhibiting any kind of destructive behavior, that can also be a symptom, as well. What I'm often asked by pet owners is if there are any ways that we can prevent anxiety in dogs. So of course I passed that question on to Jessa. And being a pet trainer, she explained that training a pet is a great preventative measure to teach dogs new responses to scary or unfamiliar stimuli. That may, as well, be something unfamiliar would be to have your owner out of the house for long periods of time. Maybe you used to work from home and you're starting to work outside the home more. Maybe you're going back to work after a little leave of absence, something like that. So this can work for separation anxiety, but it's also a great way to help dogs that are having anxiety maybe about loud noises or something that is scary or unexpected to them. So when dogs are between 8 and 16 weeks old, they're extremely open to new experiences and exposing them to sounds or being along — anything that could promote anxiety — can help build those skills that the dog's going to need into adulthood. Unfortunately, not all of us get our pets when they're puppies. So if your dog is older and they're exhibiting signs of anxiety, a set program of counter-conditioning and desensitization to the sounds or the events that lead to the anxiety can help them in developing the coping skills. And what I mean to counter-conditioning and desensitization. If a pet… If something's just unfamiliar and that is what makes it scary, sometimes getting them used to that and conditioning them to understand that that's OK, that that's what expected, that this is going to be fine. So you might need to train them to, or condition them to, understand that you're going to come home. You may need to appraise them and show them that it's OK when there are loud noises and that that's OK. And sometimes just desensitizing them to these things can aid in those development, of those coping skills. So a professional trainer or a veterinarian can assist you in building these training programs. You can do some research online on your own, as well, if that's something that you're interested in. 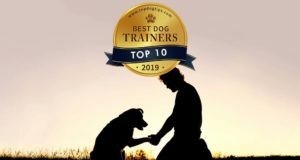 If you're struggling, if you feel like you don't have the skills yourself to be able to work with your dog, I strongly recommend reaching out to a professional trainer. You can speak with your veterinarian, as well. They may have some tips and tricks for you. If you're looking for something that you can do at home to ease your dog's anxiety, maybe not prevent it all together, maybe you figured that out. You've tried the conditioning. You've tried the desensitization. It's not working. So what you want now is to ease the anxiety. There are certainly things that pet parents with anxious dogs can do to try at home to ease some of those symptoms. Providing a sheltered, safe space — Jessa tells me — is one of the best things that you can do. So this would be a crate, somewhere where they have their own little safe place. It provides a comfort for your dog and a place for him to hide. Calming music that's specifically designed for dogs. I actually have spoken with the creator of Music For Dogs which is a YouTube channel that specifically makes music for dogs. They also have one that's made with music for cats. And I will link to those. If you're listening to this on iTunes or watching on social media, just jump on our website, TheoryOfPets.com, and click on this podcast. There will be some links up there for the things that I'm talking about in today's podcast, and one of those is that calming music. I'll have the links to those if you want to check those out. Ii is music that's specifically made for dogs. They've done research on the different sounds that dogs can hear, the range of their hearing, the sounds that are more soothing to them. And so they've actually designed music that is specifically for our pets. Essential oils, Jessa mentioned, is another great way. Lavender, vetiver, are great things that can help aid anxious dogs. You can find tons of research about that online and also speak with your veterinarian. If you have a holistic veterinarian in your area, they are a great resource for using essential oils for dogs. Calming is a huge thing you can use them for. They actually make calming collars that spray. They have a little spray of essential oil that comes out at different times to help calm your dog. A lot of pet stores carry safe over the counter calming supplements, and they might be different mixtures of essential oils. They could contain chamomile tea, a mixture of things like that help to calm your dog. 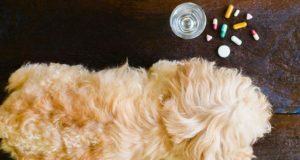 So if you maybe don't have time for the research and things like that, you can buy supplements that already are mixed, based on the science behind using these natural treatments to calm anxiety in pets. So, what should you not do if your pet is suffering from anxiety? I hear often from pet owners who — “well I've tried this and I've tried that. I'm really getting frustrated with this anxiety.” There are some things that you should not do. Some “no-no's” if you will, about dealing with pets with anxiety. And Jessa tells me that pet owners have to remember to be patient when they're dealing with their furry friend. This can be anything from dog training to anxiety, but it's especially important with anxious pets. For example — if the pet owner gets a new family member, a new furry family member, if you adopt a cat or a dog and it's exciting for you. But you also need to not rush them into good behaviors. That's something that takes time. The dog needs to learn. You need to learn how the dog learns, in order to how best teach them. It's good to keep in mind that a new pet still needs to get accustomed to their environment. And that they're going to engage with their owner when they're comfortable and confident. They're going to engage with the environment when they're comfortable and confident. Maybe you get a new dog and all he wants to do is hide under the table or sit in his crate. He needs that time away, in his safe space to get comfortable and to feel confident before interacting and engaging. So keep that in mind. And if you leave the dog in an environment that he's not used to and expect that he's not going to have some anxiety about that, that's your problem, not a problem with the dog. So keep that in mind as well. Mars Petcare actually Jessa mentioned to me that they have a program called “Better Cities For Pets.” That provides downloadable resources which I'm going to link to as well on our website. So if you want to check it out, there are some great resources on responsible pet ownership. There's great tips for new pet owners, but also some stuff for experienced pet owners as well with things like anxiety. So check out those resources. One of them includes tips on how to keep pets healthy and ways that owners can recognize how their pet is feeling. So health isn't all about physical health. You have to remember that it's emotional health too. And anxiety falls under that emotional health category. So you can check out that resource and that will explain some specifics on recognizing how your pet is feeling so that owners can better interpret their behavior. So you're not just thinking that it's naughty behavior, but it's actually linked to something greater, like anxiety. Finally I wanted to know from Jessa, when is it too much? When do you need to consult a veterinarian, because it's just too much for a pet owner to take on on their own? And she told me that it's best to consult a veterinarian or a veterinarian behaviorist, which is great if you have one in your area. And you want to consult them once you sense that there's an issue with your canine companion or your feline companion. At times some physical ailments can actually cause symptoms of severe anxiety. Your dog knows that something is wrong and so he will express that in certain ways. Sometimes it looks like anxiety, but there's actually something wrong and he can't verbalize that to you like other humans can. He can't tell you, “My abdomen hurts,” or “I'm having problems with my muscles aching.” So it comes out as severe anxiety. But these symptoms can actually present as a behavior issue. So a visit to your vet can rule out any underlying factors, and then that will help you determine if the root cause actually is anxiety. So again, I spoke with Jessa, she's a pet trainer. She works for Mars Petcare, which is a huge company worldwide. She's an expert in her field. To find some of these tips for anxiety, and a lot of times in the winter time, dogs spend more time indoors that can increase anxiety issues or any anxiety symptoms. So if you guys have any questions for me or any questions that you would like an answer from Jessa about anxiety in pets, please be sure to email me or get on our website, Theoryofpets.com. You can add your questions there as well. If you'd like to do those verbally, you can record your questions and I might use them on future podcasts. You can also just have them emailed to me and I'll be sure to get back to you and answer any questions that you might have. Again, if I can do it, if I can pass them on to Jessa or another expert in the industry if it's not necessarily about anxiety but it's a burning question that you've had about your pet I'm happy to do that.